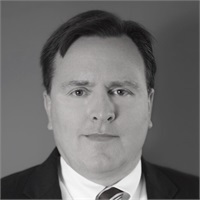 Charles P. Pierce, Jr. began his career in financial services in 1994. He has formerly worked at Comerica Securities as both a bond trader and fixed income specialist as well as a Financial Consultant. He obtained additional portfolio management expertise while working for Merrill Lynch and gained insight into the insurance industry while working for Mass Mutual. He is currently finishing the requirements for the Certified Financial Planner designation and he is a level III candidate for the Chartered Financial Analyst as well. Charles takes a comprehensive planning approach to assisting clients with their financial affairs and is proud of his work that is based on meeting client needs by providing value added counsel while incorporating the highest level of honesty and integrity. Charles graduated from the University of Michigan with a B.A. in Economics and completed his M.B.A. from the University of Detroit. He has also completed course work in financial planning at Oakland University. He and his wife live in Clarkston and love the challenges and rewards of raising their two children. He is active in his Church, is a Troop Committee member with the Boy Scouts of America, enjoys general aviation and is an instrument rated pilot, and is a novice but enthusiastic woodworker.